Photo: In this May 11, 2008 file photo, former President George H.W. Bush arrives on the South Lawn of White House in Washington. 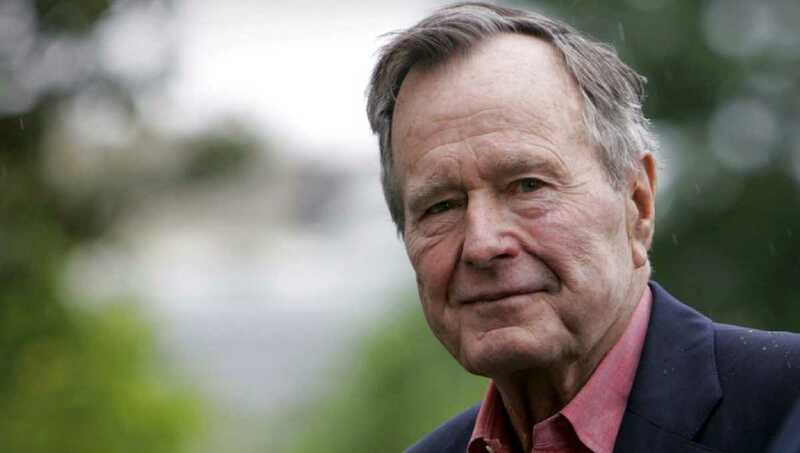 Bush died at the age of 94 on Friday, Nov. 30, 2018. Houston, Dec 1 (AP/UNB) -George H.W. Bush, a patrician New Englander whose presidency soared with the coalition victory over Iraq in Kuwait, but then plummeted in the throes of a weak economy that led voters to turn him out of office after a single term, has died. He was 94. The World War II hero, who also presided during the collapse of the Soviet Union and the final months of the Cold War, died late Friday night at his Houston home, said family spokesman Jim McGrath. There were points of dissention. His nomination of a little-known federal appeals judge to the U.S. Supreme Court, Clarence Thomas, became a battle royal when Thomas was accused of sexual harassment by a former colleague, Anita Hill. His confirmation hearings, a national spectacle, sparking an intense debate over race, gender and the workplace. Thomas was eventually confirmed.